Food...preferably a lot of it!! Suhail likes to tinker with anything electrical....especially building robots! I'm not here to workout - you are! 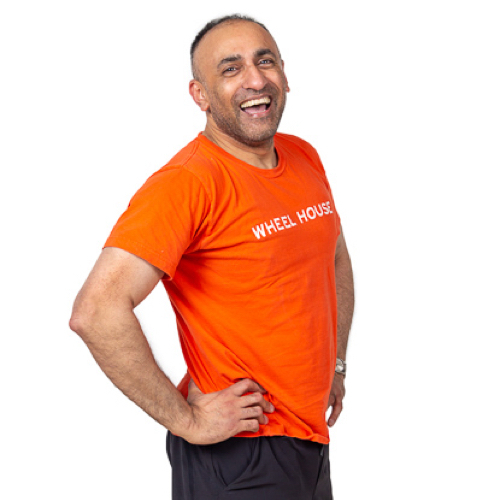 Suhail is one of the Founders/COO of Wheel House. He started working out to break up his three hour journey to work when living in London and has been hooked on fitness ever since. Suhail is known to give you a tough workout and to push people comfortably and safely to new heights. Whether you are a new or veteran fitness enthusiast, you will find his classes challenging - although, unlike his partner Carl, there is no promise of highkicks!